A common error to recieve when sending email is: "The server responded: 550 Access denied - invalid HELO name (See RFC28214.1.1.1)" Please make sure that you have Outgoin Server Authentication turned on in your email client. 9.) Click 'Apply' (if available), then 'OK', and then 'Close'. 7.) 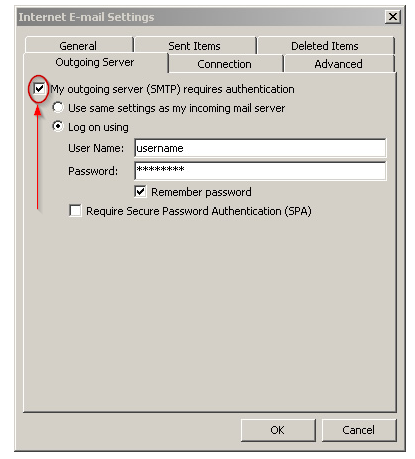 Verify that "SMTP server requires authentication" is checked and "Use same settings as my incoming mail server is selected"